يضمن فندق Rosedale Bed and Breakfast الذي رمم في 2012 لزائريه قضاء وقت ممتع في هانتر فالى، سواء جاؤوا في رحلة عمل أو سياحة. يمكن من هنا للضيوف الاستمتاع بسهولة الوصول إلى كل ما تقدمه هذه المدينة النابضة بالحياة. بالنسبة لمن يريد الخروج، هذه بعض المعالم السياحية المتوفرة للزوار Werakata National Park, Cessnock Airport, Hunter Valley Horse Riding & Adventures. يعمل Rosedale Bed and Breakfast على ضمان إقامة مريحة لضيوفه من خلال خدماته الممتازة وحسن ضيافته. يمكن للنزلاء الاستمتاع بالميزات التالية: واي فاي مجاني في جميع الغرف, مرافق مخصصة لذوي الاحتياجات الخاصة, تسجيل وصول/خروج سريع, تخزين الأمتعة, واي فاي في المناطق العامة أثناء إقامتهم في هذا المكان الرائع. في الفندق غرف نوم يتجاوز عددها 3، كلها مجهزة بعناية وجمال وبعضها مزود بـ تلفزيون بشاشة مسطحة, اتصال لاسلكي بشبكة الإنترنت (مجاني), غرف لغير المدخنين, مكيف هواء, تدفئة. إن حديقة هو المكان الأمثل في الفندق للاسترخاء وتفريغ طاقتك بعد نهار طويل. إن Rosedale Bed and Breakfast هو خيار ذكي بالنسبة للمسافرين إلى هانتر فالى، بما يوفره من إقامة هادئة ومرحة. Location - situated only 5-10 minutes drive from Polkolbin and the major wineries (Audrey Wilkinson, First Creek, Sobels etc). Other attractions around the area include the 25 acres of Hunter Gardens 27 AUD entrance fee per adult, beautiful wedding venue Chataeu Elan and gastronomic chef's hat food (Muse). Breakfast - I have to admit, it is probably one of the best breakfast I've had at a B&B by far. Delicious and generous servings with self serve nespresso all day long. What else could you ask for? Lovely sweet B&B, simple decorations but with style. Very homey indeed. Wonderful! Ideal base for wineries, beautiful quiet setting in a fairly central location. Friendly and attentive hosts and an amazing breakfast. Loved the shared living room and the little touches, like port and chocolate. Can have privacy but still socialise. Highly recommended! Most enjoyable. Very friendly and informative hosts. Absolutely super - loved the lounge and dining area and the comfortable beds!! Excellant, lovely and quiet, great hosts with lots of suggestions about the area including out trip home. Breakfast was superb. Very enjoyable, lovely hosts, clean, spacious and comfortable. All the comforts were provided. Beautiful gardens and setting. Delicious breakfasts and a lovely country retreat. Would recommend it to couples who want to get away and relax and tour the Hunter Valley, enjoy great wines and excellent restaurants. Visit to the Hunter Valley Gardens recommended. Would definitely recommend Rosedale B & B and would be happy to return. Hosts were very helpful in recommending restaurants and places to visit. 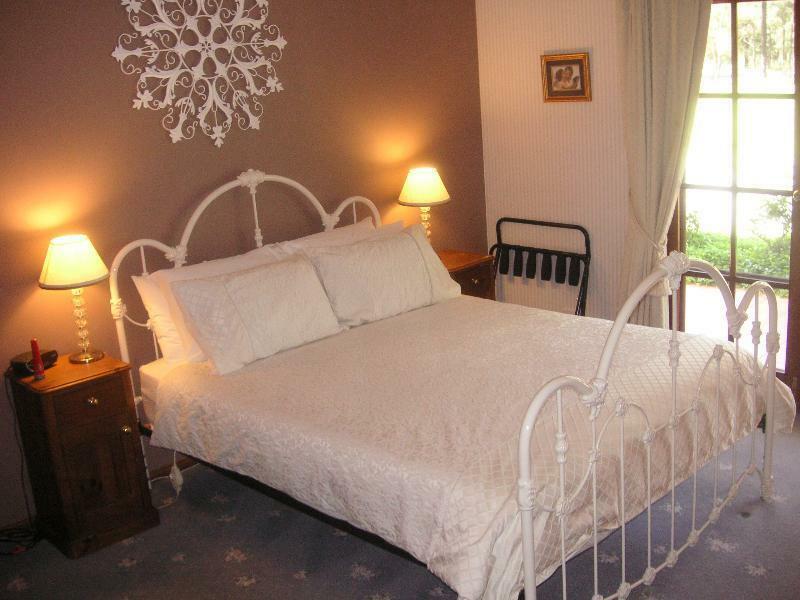 Very warm and friendly welcome on arrival, comfortable bed, and lovey gardens. Excellent short stay, very comfortable, clean and cosy with a freindly, helpful host. rosedale is located along lovedale road which is quite a distance from the popular wineries along broke road. so our plan was always to visit all the wineries first and then proceed to rosedale to spend the night. the only attraction that was near to rosedale was the hunter valley chocolate factory. however, the room was spacious and the house was very well maintained. but there was no free wifi provided or if there is, we were not informed. the breakfast was really nothing to shout for i.e it's not the full breakfast that we expected. just some toasted bread, tea/coffee, fruits and yogurt. so if you are rushing to get to another place in the morning, the breakfast is not worthwhile for you to stay for.